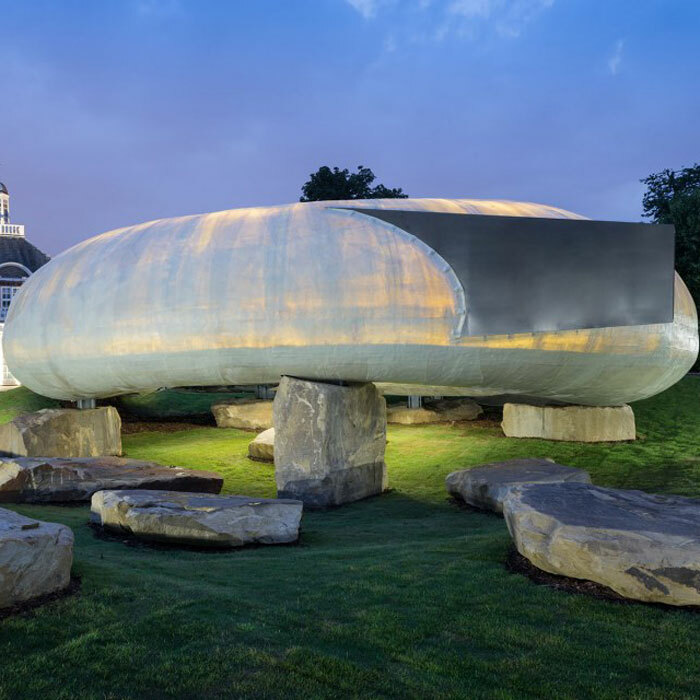 This year the Serpentine’s Summer Pavilion was designed by Chilean architect Smiljan Radić. It follows, and contrasts with, Sou Fujimoto’s cloud-like Pavilion which was visited by almost 200,000 people in 2013. Inspired by Radić’s early work, The Castle of the Selfish Giant, the pavilion features a semi-translucent, cylindrical structure that resembles a shell resting on large stones. Inside the structure is an airy café, which is home to and inspiration for the Park Nights series of eight events combining art, poetry, music, film, literature and theory.